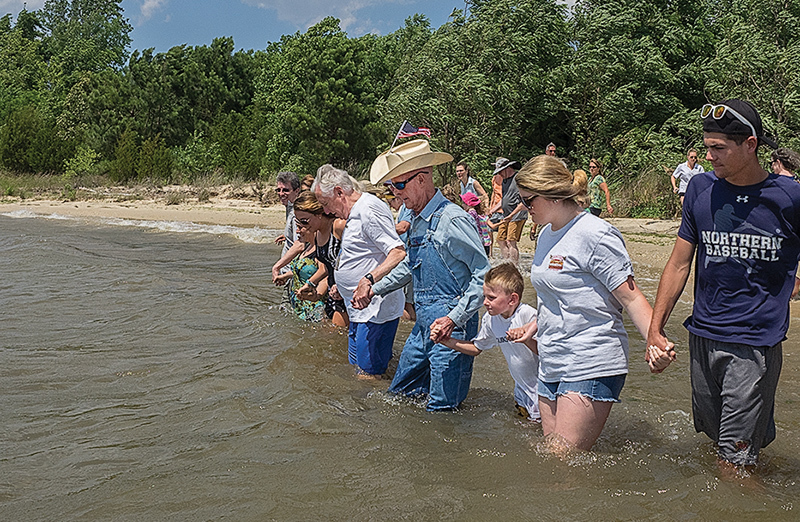 For nearly 30 years, on the second Sunday in June, Bernie Fowler has led an ad hoc group of scientists, politicians, friends and concerned citizens into the murky Patuxent River in Calvert County to see if it’s getting any cleaner. Wearing overalls, a hat with an American flag pin, and a pair of white sneakers, the former Maryland state senator wades in until he can no longer see his feet. The depth at which the bottom fades from view is recorded. The annual measurements give a sense of how the river is faring. And the folksy event has helped to rally the public to push for the cleanup of the Patuxent and the larger Chesapeake Bay. But many, Fowler included, considered it an unscientific measure of water quality. Now, though, a team of NASA scientists has determined that the Bernie Fowler Sneaker Index, as it’s commonly known, is a pretty accurate yardstick after all. Last summer, researchers at the Goddard Space Flight Center in Greenbelt, Md. used satellites to find out if scientific measures of water clarity at the time of the wade-ins matched Fowler’s observations. They did. A graph comparing the Sneaker Index to the satellite images shows that turbidity increased in years when the index was low, and decreased when it was high. The scientists – Lachlan I. W. McKinna, Ivona Cetinic, and their summer intern, Benjamin Crooke — published their findings in a recent issue of Optics Express, the journal of the Optical Society. Their study not only validated Fowler’s annual Patuxent checkups, but also demonstrated that amateur “citizen scientists” can make meaningful research contributions. For their study, the team analyzed measurements taken by instruments aboard two satellites. With images from the satellites, the scientists could develop a better picture of the Patuxent River. They also incorporated tidal information from the National Oceanic and Atmospheric Administration and water quality measurements from a U.S. Geologic Survey monitor in Bowie. The scientists were able to overlay all of that data with the Sneaker Index. Then came the tough part: translating what the satellite instruments see into a measure of water clarity. The color of sunlight that reflects back to the satellites from the water is an indicator of how clear it is, among other things, said NASA oceanographer Gene Carl Feldman. When the water looks blue, as in seas around Hawaii, it’s because there is very little except the water itself to scatter or absorb the light. When the water contains microscopic plants called phytoplankton, it appears green because the chlorophyll in the plants absorbs the blue and red light. In the Bay, the color of the water is also frequently influenced by sediment that has washed off the land or been stirred up from the bottom. The water then looks more yellow and brown. By accurately measuring those differences in color, Feldman said, scientists are able to quantify the optical properties of the water. Crooke, who plans to study environmental science in the fall at Skidmore University, said Fowler’s information was “right on track” with satellite data. Reached at his home in Prince Frederick, the 93-year-old was elated when told of the NASA work. Fowler is often credited with starting the cleanup movements for both the Patuxent River and the Chesapeake Bay. A Broomes Island native, he began to notice his beloved river was turning cloudy in the 1960s and 1970s. Watermen were having trouble catching hardheads, or Atlantic croakers, and oysters. 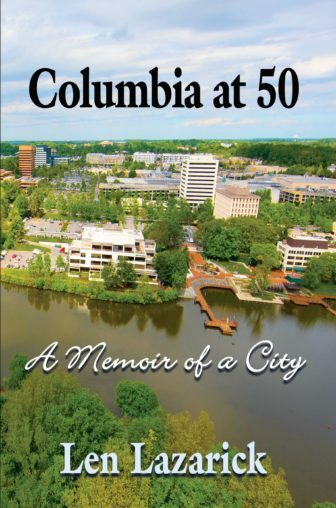 The upper watershed, once farmland, was sprouting new housing developments in Columbia and the surrounding areas. In his first elected office as a Calvert County commissioner, Fowler persuaded his and two other Southern Maryland counties to sue the state and federal government for allowing those upstream counties to pollute the river with inadequately treated sewage. Fowler and the commissioners won. A judge ordered the U.S. Environmental Protection Agency and the state to curb nutrient pollution in the Patuxent. To develop that plan, Fowler joined others in a three-day “charrette” of negotiations. Bay scientists and politicians later applied that collaborative approach to the current federal-state Chesapeake Bay Program. When Fowler was elected state senator in 1983, the push to clean up both the Patuxent and the Chesapeake was gaining momentum. But in 1988, the river was still ailing. People seemed to have forgotten its troubles, or thought the problems had been solved. So, he held his first wade-in, thinking if he could offer proof, however unscientific, of a struggling river, the politicians would protect it. These days, community members and schoolchildren gather at the river to demonstrate their concern for clean water, and to honor the man in the white sneakers. His wade-in has spurred dozens of others, which the NASA scientists hope can contribute to the citizen science movement. It will be increasingly important, McKinna said, as federal and state budgets are cut and fewer agencies can send professional scientists into the field. While Fowler is tickled about NASA’s validation, he’s less thrilled about the Patuxent. According to the latest Chesapeake Bay report card, produced by the University of Maryland Center for Environmental Science, the Patuxent’s health improved slightly last year but was among the worst of any Bay tributary. Fowler wants all watershed sewage plants to stop discharging into rivers and instead to spray their treated effluent on land, as he persuaded Calvert County to do. Too much sewage goes into the river, he said, and putting more in won’t help it recover. This year’s 30th annual wade-in will be at 1 p.m. Sunday, June 11, at Jefferson Patterson Park & Museum near St. Leonard. All ages are welcome, and there’s no fee to participate. The Bay Journal is published by Bay Journal Media, a 501(c)(3) nonprofit, to inform the public about issues that affect the Chesapeake Bay. A print edition is published monthly and is distributed free of charge. News, features and commentary are available free online at bayjournal.com. MarylandReporter.com is partnering with the Bay Journal and publishing one of its stories every Friday.